After taking a long Labor Day weekend off there will be an abreviated edition to end the weekend. News of the World reports that two of next season’s Doctor Who specials will be filmed in the United States. The report says that The Doctor will “save the world with a BIG-NAME American female assistant.” The article also claims that The Doctor will regenerate after these specials. There has been a lot of speculation as to whether David Tennant will return for another season, and I don’t know to what degree we can trust the claims in this article. On September 2 BBC 4 is rebroadcasting the 2005 show, The Quartermass Experiment. 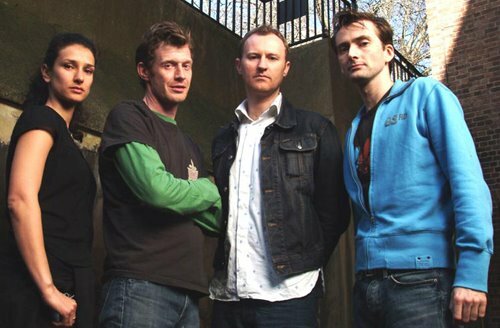 The cast includes David Tennant, Mark Gatiss who has both written for Doctor Who and appeared in one episode (The Lazarus Experiment), and Indira Varma (Suzie from Torchwood). Torchood, incidentally, has begun filming on the five part story which will make up the third season of the show. It is also being suggested that Johnny Depp will be starring as The Riddler. If the rumor that Cher is under serious consideration is true, and if she portrays Catwoman as this aging vamp of a troublemaker for “The Batman,” then having her in the role could prove to be quite interesting. However, if Cher succumbs to ego and insists on trying to pull off a younger, more athletic Catwoman, then the franchise will simply slip back into the doldrums that Nolan originally rescued it from. Posted in Science Fiction, Television. Tags: Batman, Christopher Nolan, David Tennant, Doctor Who, Mark Gatiss, Science Fiction, Star Trek, Torchwood. RSS feed for comments on this post.. TrackBack URL. WHY can’t someone just make a Catwoman that is like the one in the damn comics? Considering how DC has rebooted all its characters since I’ve last read any of the comics, I don’t even know what Catwoman is like in the comics at present. Yeah, forgot about that. The one I last remember was during the 90’s, while Jim Balent was the artist. Back then she was more of an awkwardly-flamboyant master thief than a supervillain as commonly understood, and there was virtually none of the she-wants-Batman garbage at the time. Was after she’d switched to a purple bodysuit (was gray before) if you remember that. It was the only incarnation of Catwoman that I thought was worth reading. While we’re talking comic books: by any chance you remember the series’ “Preacher” or “Hitman”? Or the most recent reboot of the Punisher? Garth Ennis wrote those, and even though I haven’t read a comic in years I’m still puzzled as to why that guy isn’t getting offers to write movies. I believe that those comics were after my time. I’ve paid a little attention (via articles) to the old Marvel and DC superheroes I previously collected but know very little about those who came along later. Some day I have to check out Ebay and see how much all much my comics from the 1960’s are going for. While I primarily purchased comics in the 1960’s and early 1970’s I also bought up some back issues from the 1950’s. I now have many boxes of them down in the basement in the hopes that they are becoming increasingly valuable.